President Donald Trump's personal attorney will headline an event that will raise money for one of the most powerful members of Congress from Texas. 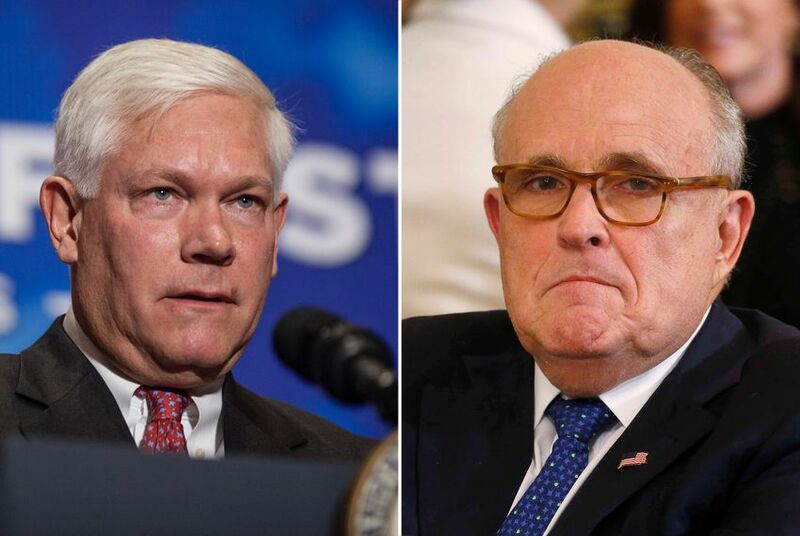 WASHINGTON - Former New York City Mayor Rudy Giuliani, the personal attorney to President Donald Trump, is headlining a Dallas event next week that will raise money for the re-election campaign of U.S. Rep. Pete Sessions, R-Dallas. According to an invitation obtained by The Texas Tribune, Giuliani will be a "guest speaker" at an annual awards dinner for Dallas Republicans. Requested donations will go toward a joint fundraising committee that will support Sessions' re-election bid. The event will take place on Sept. 17 and honor Roy Bailey, a prominent Dallas Republican donor and fundraiser. A number of current and former Texas-based Republican members of Congress, including Sessions, former U.S. Sen. Kay Bailey Hutchison, U.S. Rep. Sam Johnson of Richardson, and former U.S. Rep. Ralph Hall of Rockwall, are previous recipients of the honor, named for former Gov. Bill Clements. Checks are requested to be made out to Dallas Entrepreneurs-Sessions 2018 fund, which the invitation describes as "a joint fundraising committee established by Pete Sessions for Congress Committee and the Dallas Entrepreneurial Political Action Committee (DALENPAC)." Sessions is in a tough fight for re-election in his Dallas-based 32nd District. His opponent is attorney Colin Allred, and national handicappers rate the race as one of the most competitive races in the country. While a longtime national fixture in Republican politics, Giuliani is now the primary spokesman for the president on the special counsel investigation and is widely believed to be leading the political charge to protect Trump from impeachment charges in the U.S. House. Sessions chairs the House's powerful Rules Committee.